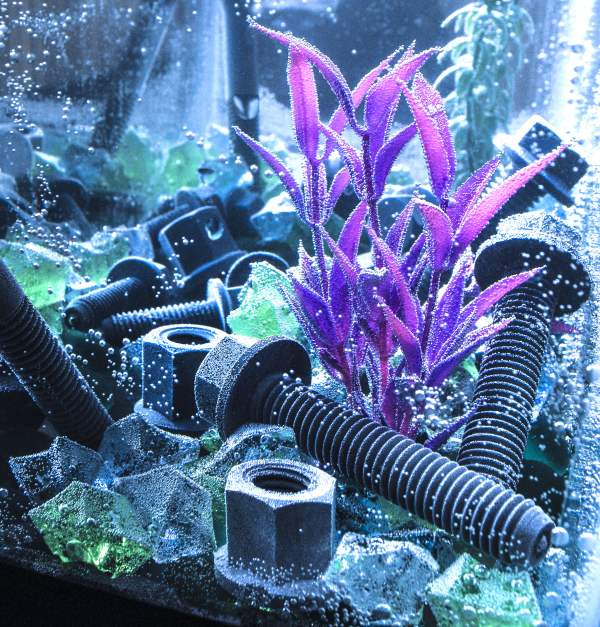 Isoplast bolts staying strong under water. Many plastic fasteners outperform metal in marine environments. 2) Stainless steel isn’t stainless. Stainless steel is created by adding chromium to regular steel. The chromium forms a passivation layer of chromium oxide when exposed to oxygen. This passive film is too thin to be visible and is impervious to water and air. The layer quickly reforms when scratched. Stainless steel is popularly used in outdoor architecture where it retains its lustrous shine even when bombarded by wet weather conditions, for example on the shiny top of the Chrysler Building in New York City. So what’s the catch? The chloride in saltwater as well as chlorine attacks the passive film, targeting the steel fasteners’ weakest points. Once the chloride destroys the passive layer the saltwater will eat away at the steel underneath. The risk of corrosion can be somewhat lessened with frequent freshwater washings and maintenance but not completely eliminated. 3) Many plastics are saltwater resistant-without the upkeep! Several plastics hold up well in seawater. Polyvinyl Chloride (PVC) is commonly used in plastic plumbing pipes and outdoor furniture. This material is chemically inert, corrosion and weather resistant, and has a high strength to weight ratio. Polyethylene Terephthalate (PET), commonly used in plastic bottles, can be used in aquaculture applications like brine shrimp hatcheries. Isoplast, an impact-modified urethane, does not absorb water and is unaffected by saltwater, gasoline, diesel, fuel additives, Clorox and many other chemicals. Isoplast is even stronger than PVC and PET and can be used in tandem with metal for marine applications. 4) Do I look tan? Not only are many plastics UV resistant, some are actually strong enough to survive the close proximity of the sun in outer space. Plastic fasteners are used in the Hubble Space Telescope (HST) and the International Space Station (ISS). Fluoropolymers such as FEP and polyimides have been successfully used for the HST and ISS. Not all plastics are appropriate for sun exposure, however. UV energy absorbed by plastics can excite photons, which then create free radicals. These free radicals rapidly corrode the plastic fastener, causing discoloration and brittleness. It’s important to choose one of the many plastic materials that do not absorb UV energy for outdoor applications. 5) It can be reinforced with steel to make it stronger than ever. This one speaks for itself! By combining a plastic fastener with a steel core, one can create a rust and UV resistant plastic component with all the strength of steel. Questions? Let me know in the comments section below. 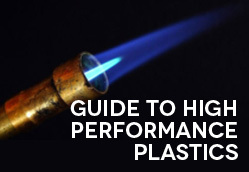 Interested in learning more about high performance plastics? Download our free guide! Sorry, we don’t make poles. We manufacture small, precision parts.